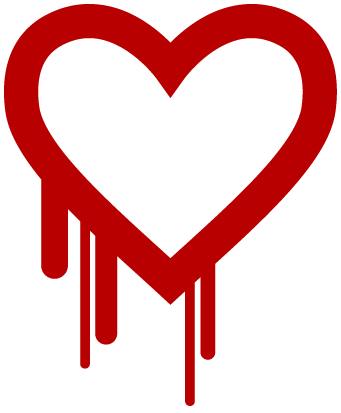 Several people have contacted me because they were worried about “Heartbleed” – a software flaw that lets attackers steal the cryptographic keys used to secure online commerce and web connections. First let me clear up something – this is NOT a virus. Heartbleed is a bug that affects online servers, not your PC. The bug, called “Heartbleed”, affects web servers running a package called OpenSSL which is the most common technology used to secure websites. Web servers use it to securely send an encryption key to the visitor; that is then used to protect information coming to and from the server from the so-called man in the middle attack, where a third-party intercepts both streams of traffic and uses them to discover confidential information. This bug has been around for about 2 years. While that means that hackers ‘could’ have been stealing information and passwords during that time the chances are relatively low. If it were a well-known bug then it would have come to light sooner and been fixed. So while the good guys didn’t know about it, neither did most of the bad guys. There is nothing you can to do fix a website, but you can check to see if a website is vulnerable by visiting this site. If the sites tests OK then I would recommend changing your password as it is possible that your password was detected before the bug was patched. But do not change your password until after the site is fixed – now that this is known there’s more chance that someone will exploit it and you could actually be making the situation worse. If you can stay offline then that would be a good start – at least for a few days. But most people can’t so I would suggest just being careful and, if you must visit a high security site such as a bank or email system then check it first using the website tester. It’s the weekend…go outside and play! Better safe than sorry. But, as noted above, don’t change it until after the server has been patched. Many well used sites such as Facebook, Instagram and Pinterest were affected and you should change passwords, particularly if you use the same password on multiple sites (as many people do). For a hit list of passwords you should change right now check this list. More information can be found via Heartbleed: Hundreds of thousands of servers at risk from catastrophic bug | Technology | theguardian.com. Even good things come to an end, and it’s really, really time to say goodbye to Windows XP. As good as it was this trusty old workhorse is not only obsolete, it is getting dangerous to run. That’s because Microsoft is getting ready to pull the plug on the last vestiges of support for Windows XP SP3 and that means no more security updates. Security is like a game of leapfrog. Hackers attack with a new offense, security folks build a defense against it, and the attackers come back with yet another variety of malware. But after April, only one side will be playing, and you risk being a loser because of that. In fact things are already looking pretty bad. Check out this graph showing infection rates for the various versions of Windows and I think you’ll agree that the days of XP are finally over. For the full story read Security Threat Means It’s Finally Time to Say Goodbye to Windows XP | CIO Blogs. If you’ve ever done your shopping or banking online, you may have noticed a small “lock” icon appear in your address bar, or that the address bar has turned green. This indicates that your browser is using a secure connection (“HTTPS“) to communicate with the website and ensure that the information you send remains private by scrambling the information being sent from your computer to the website. Without HTTPS your information is being broadcast in clear text, picked up by people nearby and can be used to capture your passwords or take control of your accounts. Not all websites need to use HTTPS. Encrypted pages take longer to load and are more expensive to set up. But if you’re using public Internet access points found at coffee shops, airports, libraries or schools sites, are being asked for credit card numbers or other personal information and don’t see a secure browsing connection then you need to just walk away. If buying something on that site is a must then do it at home where (hopefully) you have your access point secured with a password or, better yet, pay by check. The good news these days is that most of your favorite websites such as Facebook, Gmail and Twitter have figured out that this is a big problems and now use HTTPS by default – nice work chaps!